Ashore, it is often as much a festival as a competition, particularly in Saint-Tropez where the three-day inshore series, co-organised by the Yacht Club Italiano and the Société Nautique de Saint-Tropez, is centred. 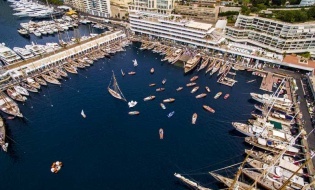 241 yachts entered the 2018 edition, among them 20 Swans. 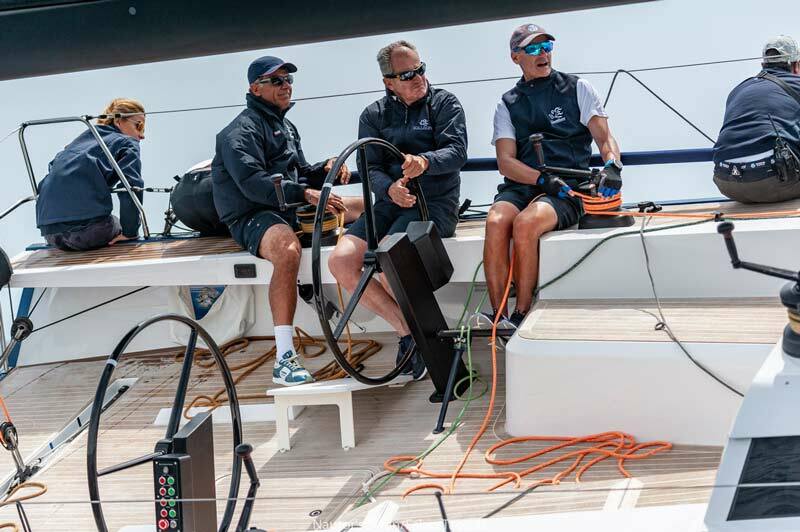 For the five ClubSwan 50s and four Swan 45s racing in One Design configuration, the Rolex Giraglia marked the third leg of The Nations Trophy Mediterranean League 2018. In the ClubSwan 50 class, Leonardo Ferragamo and Cuordileone returned to the fray with some authority, repeating the victory they achieved at the first event of the league in Monaco. 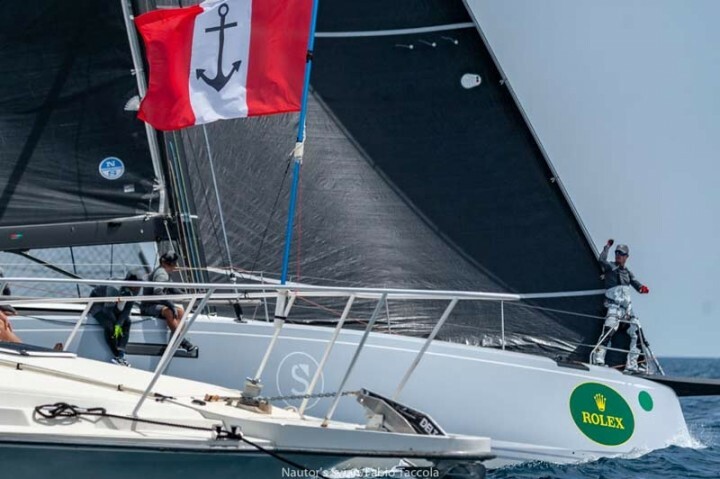 It was a similar situation in the Swan 45 class where Luís Senís Segarra and Porrón IX, winners in Monaco, secured the overall win. Italy was top nation with Cuordileone combining with the Swan 45 Thetis to win by one point from Switzerland, with Spain in third. The fourth and final event for Swan One Design classes competing for The Nations Trophy Mediterranean League 2018 is the Copa del Rey Mapfre, hosted by the Real Club Náutico de Palmafrom 29 July to 4 August. Racing was typically close in the five-boat fleet, with the top three in each of the three races separated by less than one minute and on occasion 30 seconds. Leonardo Ferragamo and Cuordileone responded best to the varied conditions, winning one race in the 8 – 12 knots on Sunday and another in the fresher conditions of Tuesday. Monday’s racing was lost through a total absence of wind. Andrey Konogorov’s Skorpios (RUS) could not match the Italian crew, but got the better of Morten Kielland’s Mathilde (SUI) by virtue of countback. Kielland will not be too disappointed. Mathilde continues to lead The Nations Trophy Mediterranean League standings in the ClubSwan 50 class with only one event remaining. However, with the top four boats in the class separated by only four points and twelve boats entered for the Palma event this contest is far from over. 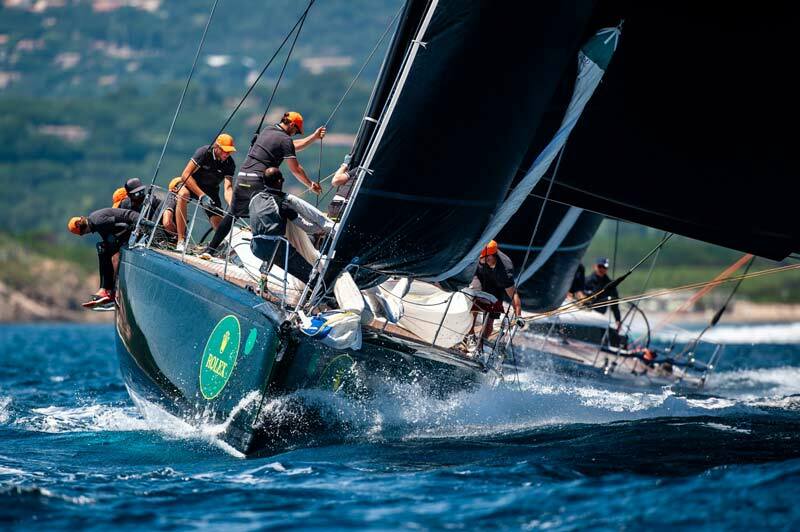 The Rolex Giraglia witnessed Porrón IX once again demonstrating her prowess at windward/leeward racing, this time off the famous beach at Pampelonne. Winning all three races, Senís’ crew were imperious, securing the class by four points from Ange Transparent. “It’s the first time I’ve raced in Saint-Tropez. It is a beautiful place and it has been a great experience both on the water and in the village. The perfect combination. I need to congratulate my crew on a strong performance in all the conditions. The races were longer than in Monaco and PalmaVela, but we like the variety and proved we go well in the light and strong winds,” remarked Senís. In terms of The Nations Trophy Mediterranean League 2018 standings after three events, Italy leads on 22 points from Switzerland in second on 18 points, with Spain in third place on 15 points, Germany in fourth on 14 and Russia in fifth on 13. Elsewhere at the Rolex Giraglia Inshore Series, the Swan fraternity was represented across most of the divisions. 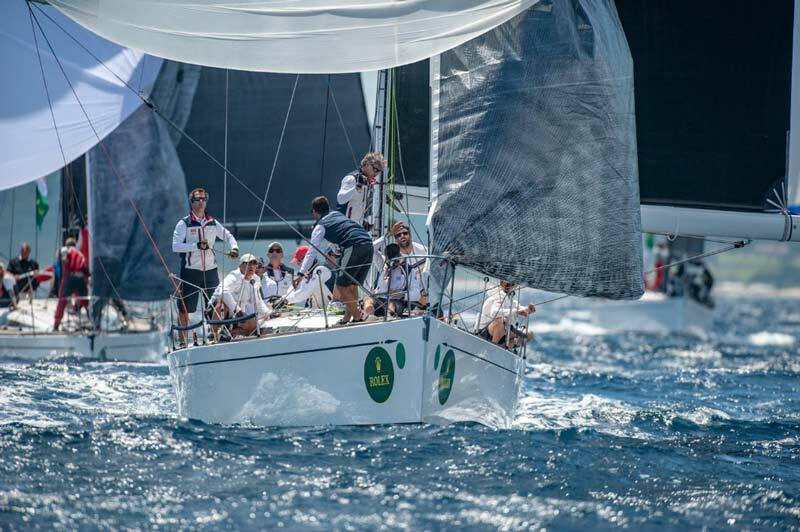 Great kudos goes to Selene Alifax (Massimo de Campo, Swan 42, ITA) with a spectacular win overall in ORC A, with Swan 53 Silveren Swaen (Frank Werst, NED) just behind in third. Elsewhere, in ORC 0 Giorgio Pitter’s Swan 65 Force 9 of London (MON) took third place on the podium; in ORC A, Daring Sisters (Tomas Dolezal, ClubSwan 42, CZE) also finished on the podium in third, while Checkmate (Marco Babando, Swan 45, ITA) finished eighth, Gouache (David Stanley, Swan 48, GBR) took eleventh and Montrachet (Robert Schuijt, Swan 48, NED) twenty-second; in IRC 0 Jean Pierre Barjon’s Swan 601 Lorina 1895 finished twelfth; and, finally, in IRC A, Zappy S (Christophe Wagny, ClubSwan 42, FRA) came twelfth and Andante IV (Bernard Marchant, ClubSwan 42, BEL) finished in thirty-second place.